On April 5th Ryan’s sister, Kaite, who was on her way to travel in Thailand, had a 12-hour layover here. 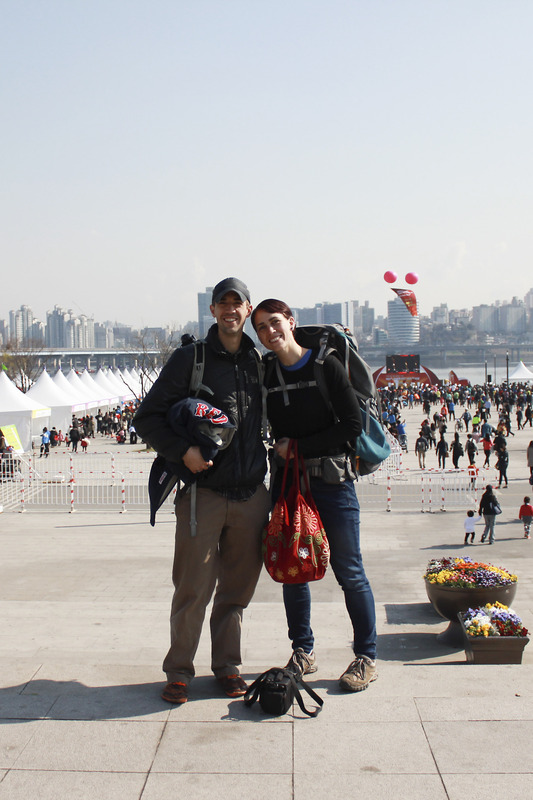 We met her in the morning for a quick jaunt around Seoul. After meeting Kaite way too early for Seoul (which usually wakes up around 10 o’clock in the morning, including the opening of Starbucks), we started near Yeouido Park, thinking we could catch some views of the cherry blossoms. But without proper research somehow never made our way to the actual park. 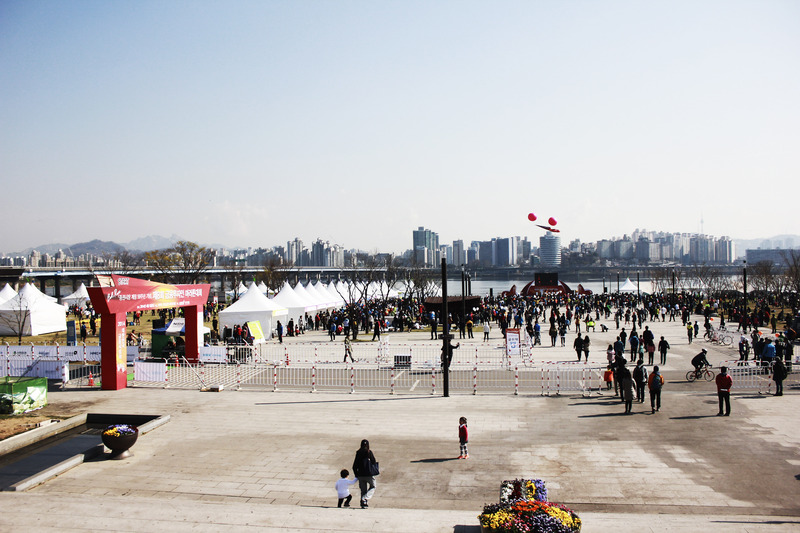 Instead, we walked around the Han river, Kaite getting to experience the strange blend of a K-pop show and foot race.